A frequently-updated website offers a haven of fresh content that does not go unnoticed by search engines. You’re putting your foot in the door of search requests and if your content is of a high quality, you will be rewarded. Although fresh content doesn’t guarantee higher indexing, it does work parallel to how often a search engine will visit your webpage. This therefore influences your rankings based upon the quality and consistently of frequent updates to your website. Web crawlers are high-tech programs that scan index websites, based upon varying factors including updates to a website. This means that every time you make an update to your website, the search engine takes notice and re-arranges your site’s ranking. Thus, if you want to increase the chances of your website getting a higher ranking, update the content frequently so that a search engine will reassess your position on its index. Although it is essential that quality - not quantity - is your priority. By publishing new content, frequently, you present more opportunities for your site to contain key words that will consequently get flagged by search engines. 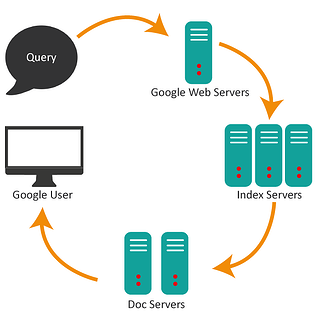 Keywords are high on the algorithm chart for search engine indexing and ranking. You can optimise your content through the use of keywords that will attract visitors to your sites. However again, the quality of the content takes priority over the quantity of keywords. Keywords should be part of your SEO strategy, but always write content that provides quality information. Do not write content around a keyword; write it around what the reader wants. The key to becoming an authority site is by abiding by the SEO adage, “Content is king.” Your authoritative potential is epitomised by the informative content that you publish that pertains to your industry. By posting valuable content, as well as industry news, you have a solid strategy to becoming an authority site. As you begin to build a portfolio of posts surrounding a particular topic, people begin to trust you as a source of information, as long as the quality is good. This trust has been proven to correlate to sales. Building authority is done well on social media, as you can respond to forums and post insightful articles. Loyalty can be formed through this, and this is essential for competing in your industry. Valuable content means that your subscribers can be kept updated, whilst also appealing to other possible visitors. By utilising an RSS feed, you can update your subscribers every time you publish new content and through this you can keep traffic high and maintain frequent updates to your subscribers. This will consequently lead to long-term loyalty which will add value to your website. Chances are, a visitor is comparing you to your competitors, so your job is to convince them that your product is the best available. By producing frequent articles on customer feedback as well as informing people on the benefits of your product, your marketing channels will be fully utilised. Regularly updating your website with fresh content will garner appreciation and loyalty from your visitors as well as making sure they are greeted with active and worthy content in order to encourage the likelihood of a transaction. 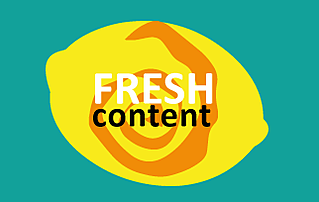 Want to know how else you can keep your content fresh and what to do next? Drop us a tweet or head on over to the RDPR blog to read more about digital strategy and best practise digital PR.